WASHINGTON --- The State Department has made a determination approving a possible Foreign Military Sale to Germany of MQ-4C Triton Unmanned Aircraft Systems (UAS) for an estimated cost of $2.5 billion. The Defense Security Cooperation Agency delivered the required certification notifying Congress of this possible sale on Apr. 4, 2018. -- ten (10) LN-251 INS/GPS units (2 per aircraft plus 2 spares). The estimated total case value is $2.5 billion. This proposed sale will contribute to the foreign policy and national security of the United States by helping to improve the security of a NATO ally which has been, and continues to be, an important force for political and economic stability in Europe. Germany is one of the major political and economic powers in Europe and NATO and a key partner of the United States in ensuring global peace and stability. 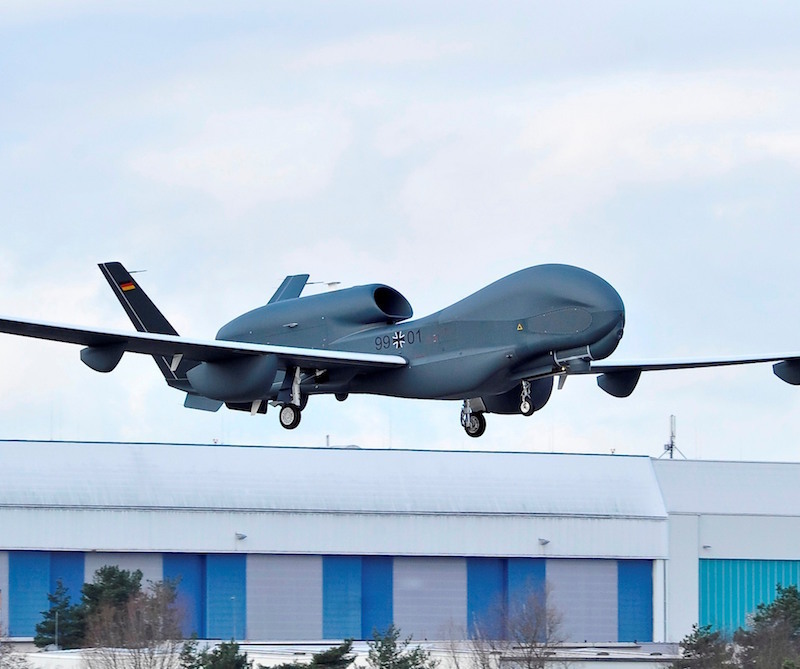 The proposed sale of the MQ-4C Triton will support legitimate national security requirements and significantly enhance Germany's intelligence, surveillance, and reconnaissance (ISR) capabilities and the overall collective security of the European Union and NATO. The proposed sale of the MQ-4C Triton will close a crucial capability gap and will enhance bilateral and NATO interoperability and will help ensure that Germany is able to continue to monitor and deter regional threats. This proposed MQ-4C UAS sale will be a modified version of the United States Navy (USN) Triton configuration. The German Armed Forces will have no difficulty absorbing these systems into its armed forces. The prime contractor will be Northrop Grumman Corporation Rancho Bernardo, CA, responsible for integration, installation and functional platform compatibility testing of the payload. Airbus Defence and Space, located in Germany, will be the prime contractor to Germany for the development and manufacturing, and will be responsible for the functional test, end-to-end test and installed performance. There are no known offset agreements in connection with this potential sale. Implementation of this proposed sale will require the assignment of contractor representatives to Germany to perform contractor logistics support and to support establishment of required security infrastructure. (EDITOR’S NOTE: It is ironic, but illustrative of Germany’s haphazard defense procurement, that these Triton variants will be fitted with a sensor payload originally developed by Germany for the Euro Hawk program. Also based on the Global Hawk air vehicle, Euro Hawk was cancelled in 2013 after incoming German defense minister Thomas de Maizière realized that €600 million was needed to allow Euro Hawk to fly in unsegregated airspace. At the time, the Euro Hawk program was estimated to cost €1.2 billion euros for five aircraft. Five years later, the cost of what is essentially the same program (but with only 4 aircraft) has increased to $2.5 billion, and delivery of the original capability will require several more years to test, improve and integrate the sensor payload.